Heather, an Iowa native, moved to the Leech Lake area from Denver, Colorado. 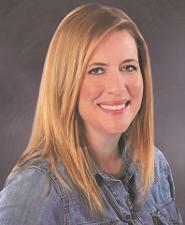 She began her real estate career in 2002 and has become well acquainted with the area lakes and communities. “I build multi-million dollar homes in Idaho and work with lots of realtors. Heather rises above all – very, very impressed.” Randy and Mary Beth C.
“Being military, we’ve bought and sold houses many, many times. Heather is the best agent we’ve ever had.” Roger and Kimberly O. “We were impressed by Heather when we purchased one of her listings near Walker. We then used her to sell our property in Longville. She gave us great feedback on how to get our home ready to sell. She hired professional photographers and brought in items to stage our home. It looked great thanks to her and her team. I have recommended her to others as well and will continue to use her for any needs in the future.” Ted. R.
“Heather was an absolute joy to work with. We found her to be very knowledgeable in real estate, but also the towns and lakes in the ‘golden triangle’ as she educated us on. We felt she was always honest with us and gave us her opinions when asked. When we entered into negotiations on the lake home we purchased, we always felt that she had our best interest in mind. In addition to all of the great attributes as indicated above, she has a great sense of humor! We are grateful to have gone through this home buying experience with Heather!” Nancy and Kevin A. In her free time, Heather enjoys spending time with her husband, two children, and their red fox lab, Ruby; reading; camping; and traveling.